The purpose of this stakeholder engagement exercise is for the CAA to understand your views on our new draft Airspace Modernisation Strategy which will replace our 2011 Future Airspace Strategy (FAS). This comprises a draft Airspace Modernisation Strategy document and six questions (See ‘Related’ documents below). A transcript of this summary and the questions is also provided for reference. Why is airspace modernisation needed? Airspace is a crucial part of the UK’s infrastructure. It must be maintained and enhanced to provide more choice and value for consumers, through the capacity for airlines to add new flights, reduced flight delays and enhanced global connections that can help boost the UK economy, while continuing to improve safety standards. In addition to accommodating increasing commercial flights, Military requirements and an active GA sector, the UK’s skies are hosting different types of airborne vehicles such as drones. UK airspace will also need to accommodate commercial spaceflight in the future, and other new technologies are constantly emerging. What is the objective for modernising airspace? Working together, the Government and the CAA have developed a shared objective for modernising airspace. This objective states that modernising airspace means changing and developing its structural design, and the operational concepts and technology that are used to fly and manage air traffic. It states that we want to ensure that airspace capacity is not a constraint on the growth of commercial aviation, with the constraint to growth instead becoming the number of runways or restrictions imposed on the use of those runways by government or planning authorities as a condition of that growth. Our approach in undertaking this programme is to be transparent, inclusive, and to take into account the needs and views of all airspace users and affected parties, including airports, airlines, communities and General Aviation representatives. Why have we written a new Airspace Modernisation Strategy? The Government has tasked the CAA with preparing and maintaining a co-ordinated strategy and plan for the use of UK airspace for air navigation up to 2040, including for the modernisation of the use of such airspace. The CAA must consult the Secretary of State about the preparation and maintenance of this Airspace Modernisation Strategy and the detail to be included in the delivery plan, and must give a delivery report to the Secretary of State annually. This draft Airspace Modernisation Strategy forms part of the Government’s new arrangements to take forward the delivery of the airspace modernisation programme. The strategy sets out the ends, ways and means of modernising airspace. Chapter 1 introduces the need for airspace modernisation and describes its objective, and the approach taken in this strategy. Chapter 2 sets out the role of the Department for Transport, the CAA, NATS and other relevant stakeholders. Chapter 3 sets out the ends, or outcomes, that modernised airspace must deliver, all of which are derived from UK and international policies and laws. In Chapter 4, 14 initiatives are identified as the primary ways of modernising airspace, including new airspace designs, operational procedures and enabling technologies. Chapter 5 identifies that there are a number of current foreseeable ‘unknowns’ that could change and reshape the context for this strategy. The means of delivering airspace modernisation – such as the resources needed to bring in changes – must rest with the industry organisations that will use airspace. The need for these plans is addressed in Chapter 6. In Chapter 7 we set out our assessment of progress towards completion of each major initiative and the supporting designs, operational procedures and technology enablers. The CAA is publishing this draft for public engagement so that any interested stakeholders can offer feedback on the document – including its approach and the initiatives it sets out as the primary ways to deliver modernisation – before it is finalised and delivered to the Secretary of State in December 2018. In future years the strategy may be revised, but the CAA will not always publish a full draft document for engagement. We are asking you to respond to six questions and provide comments before 10 September 2018. We cannot commit to taking into account comments received after this date. The questions include some multiple-choice answers and the opportunity to submit your comments by completing text boxes. Please note that if you prefer not to give a multiple-choice answer, the questionnaire will still allow you to complete the text box. We understand that some stakeholders may prefer not to be constrained by the questions alone. We have therefore also included a text box for general observations not covered by the questions. If you would like to discuss anything about how to respond, please email: airspace.policy@caa.co.uk or telephone: 0207 453 6278. • to refuse publication altogether; in the interests of transparency, we hope people will not refuse publication. Your comments will help us to set out a comprehensible and engaging strategy for developing and delivering our shared airspace modernisation objective, and enable the CAA to report on it to the Secretary of State. This stakeholder engagement exercise will be open until 10 September 2018. We will then review the responses received, and will take on board feedback where it is considered appropriate. The finalised Airspace Modernisation Strategy will be published at the end of the year alongside an annual delivery report for the Secretary of State. At this time we will also update this site with a summary of what we asked, what you said and what we did in response, and will also publish responses where we have consent to do so. Bucks County Council have now updated their website to show the new timetable for the Number 61 bus. As you know, Arriva served notice to BCC that they were terminating this route at the end of July and BCC have negotiated with Red Eagle to take over this route. Aylesbury Vale District Council (AVDC) has officially launched Our Vale, a new crowdfunding platform for community projects. This is a new way for people living in the Vale to raise funds for local projects that aim to help shape the Vale’s shared spaces and deliver community projects. Community groups, grant funders, councillors and council officers attended an event on Monday 9 July to celebrate the launch of the programme – which already has a potential pledge pot of £300,000 available to projects crowdfunding through Our Vale. The crowdfunding model is simple; if residents want to enhance their street or neighbourhood, improve local play areas or simply bring people together, Our Vale will become the best way to raise the money to make this happen. It’s about raising small amounts of money from large amounts of people and organisations to fund projects or innovations. Through Our Vale, residents will have the opportunity to ask friends, family and neighbours to back a local project by pledging money to support it. AVDC has put its weight behind this exciting new scheme and will support projects that have the backing of the local community. The audience at the launch event heard from local organisations who have already submitted a proposal on the Our Vale platform, one of which will feature on the Our Vale website in a few days. Councillor Julie Ward, Cabinet Member for Civic Amenities (Customer Fulfilment) said: “This is an exciting initiative for everyone in Aylesbury Vale and we’re looking forward to helping people create special, unusual and interesting projects across the district. “Crowdfunding is a new way for local people to give their support to local projects that are close to their hearts and a great way to reward residents for getting involved. It’s already proved itself popular with raising funds for the Bowie Earthly Messenger statue that is now drawing attention in the centre of Aylesbury town. A recent burglary has been reported on Ladysmith Road, Ivinghoe. Between 11pm on Saturday (07/07) and 8:30am on Sunday (08/07) someone entered the house and stole a laptop and charger from the lounge. They got in through an open window, which the occupant has forgotten to close when they went to bed. Detective Constable Emma Francis, based at Aylesbury Police Station, is investigating this crime. She would like to hear from anyone that might have seen or heard anything suspicious in the area. If you have any information please call DC Francis on the 24 hour non-emergency number 101, quoting reference number 43180206796. If you don’t want to speak to the police or give your details you can contact Crimestoppers on 0800 555 111, or report it online. As the warm weather continues please take a moment to double check that you have closed all doors and accessible windows when you go out or go to bed. If you want up to date crime prevention information and advice you can visit the Thames Valley Police website. You can follow the Aylesbury Vale policing teams on and and find out what they are doing in your area. Repeat of a previous message from Thames Valley Police. Please also be aware that the quarry at the end of Westfield Road is within private ownership and is not open to the public. Anyone accessing the quarry lake (which is not suitable for swimming) without the express permission of the landowner is committing trespass. Thames Valley Police is appealing for people to be sensible and stay safe near open water, especially during the summer holidays when warmer weather might make it tempting to take a dip in a lake, quarry, river or canal. Aylesbury Vale has plenty of excellent swimming pools and leisure centres; these provide the cleanest and safest environment for swimming. 60% of all drownings occur in canals, lakes and rivers. You can drown in just a few centimetres of water. If you fall or jump into the water, the cold will shock your body, making your muscles seize up so you can’t move. You could easily cut yourself on rubbish or rocks and you may become ill due to bacteria in the water. Summer is a fantastic time and we want everyone to enjoy the weather, but more importantly, please take this safety advice seriously. If you want to go swimming please go to a swimming pool or your local leisure centre – don’t put yourself or your friends in danger by swimming in a lake, quarry, pond or canal. Please note that a section of the A418 has had to be closed for emergency gas repairs to a gas leak from Wingrave Crossroads to Burcott Lane. The following diversion is in place. Traffic commuting between Aylesbury and Leighton Buzzard also being affected and long delays at times. Clinton Road, Broughton Lane, Stocklake, Douglas Road, Bierton Road. We understand that the works are due to be completed and the bridge re-opened at some point during 6/7/18. Planned remedial works to the traffic lights at the bridge will continue as planned later in the month (24/7/18 onwards). From 30th July 2018 route 61 will be operated by Red Eagle instead of Arriva. Red Eagle are based in Aylesbury and a sister company of Redline Buses who run Service 164 to Cheddington. Service 61 is not contracted by Bucks County Council and runs on a commercial basis which means that the operator chooses the route and timetable and must cover their costs from fares revenue taken. To change or withdraw a bus service an operator needs only to give notice to the Traffic Commissioner, copied to Local Authorities who have no powers to delay or veto this. Arriva have decided to withdraw the route and the Public Transport team have been trying to find another company to run a replacement which we have now done. Arriva have reviewed the route and feel it is not viable for them to continue operating, and while there will be a very similar timetable introduced from 30thJuly 2018 Red Eagle have decided not to run a small number of poorly loaded sections of journey. There are also some minor timing changes to most journeys. Some buses will operate as service 61A. These will divert between Aston Clinton and Aylesbury to serve Elm Farm (where Arriva have also withdrawn the service) instead of operating directly along the Tring Road, with some minor timetable adjustments to allow for this. Within Aylesbury, in line with other services, buses will operate direct along Exchange Street and Friarage Road towards the bus station instead of operating around the town centre via High Street, New Street and Oxford Road – buses leaving Aylesbury will follow their current route. The following alterations may directly affect some passengers from the Ivinghoe area. On Mondays to Fridays the 05:40 journey from Aylesbury to Dunstable will start instead from Pitstone, arriving in Dunstable at a similar time to now. The 06:20 journey from Aylesbury to Dunstable will now operate between Aylesbury and Ivinghoe only. Observations have indicated there are very few passengers travelling between Ivinghoe and Dunstable. The 15:55 journey from Aylesbury to Dunstable will be retimed to run at 15:50 on schooldays – both this and the 06:45 schoolday journey from Dunstable will divert via Aylesbury Schools Coach Park. The Office of the Police and Crime Commissioner for Thames Valley has today launched “Victims First” as a new service for victims in the Thames Valley who are struggling to cope with the impact of a crime . Victims First is available across Berkshire, Buckinghamshire and Oxfordshire and provides free tailored emotional and therapeutic support to all victims and witnesses of crime, as well as family members of victims (if they require it). • Wherever the crime happened. UPDATE: EXTRA CONSULTATION EVENT ADDED AT PITSTONE MEMORIAL HALL 4-8PM IN THE MAIN HALL ON 31 JULY 2018. PLEASE GO ALONG IF YOU HAVE ANY VIEWS ON AIR TRAFFIC. LTN is growing faster than anyone could have predicted, and is now the fifth busiest airport in the UK. At its current rate of growth, LTN is forecast to reach its existing permitted capacity of 18 million passengers per annum (mppa) in 2021. It is our responsibility to plan for LTN’s long-term future, and ensure that everyone can enjoy the benefits of this growth. We believe it may be possible for LTN to handle up to 36-38 mppa. This website sets out our early thinking as to how this can be achieved, and asks for your views. We appreciate that airport operations can have an impact on people and the environment, and acknowledge that communities close to the airport will be affected. As we develop our masterplan, we are looking at the potential impacts that expansion may bring and ways to manage them, as we believe our plans must happen in the right way. We will look to minimise and, where necessary, mitigate potential adverse environmental impacts. From 25 June until 31 August 2017, we are consulting on our plans to expand LTN by making best use of our runway. Our plan is to progressively expand LTN to achieve the growth, which would require new terminal capacity and other landside and airside infrastructure. We are keen to hear your views on the proposals, and on the matters you think we should be considering. Please take time to read our proposals and complete the related questions in our consultation questionnaire. As you may know, I am a Trustee for the National Paralympic Heritage Trust as part of my role at BCC. The NPHT was established on 11th November 2015, exists to enlighten and inspire future generations by celebrating, cherishing and bringing the Paralympic heritage and its stories of human endeavour to life. The NPHT is currently looking to appoint up to three independent Trustees, ideally with an understanding of, and access to, important networks or contacts in the sport and/or heritage sectors, who are also committed to NPHT aims and values, and to equality and diversity. Culture and heritage sector – including collections and archives, and engagement in particular. Fundraising experience – particularly in the cultural sector. Finance experience – ideally with a formal financial qualification to support sound financial management within the Trust. Applications should be received by Monday 2nd July 2018. Interviews will take place in July. We are reviewing the rural bus services that receive financial support from Buckinghamshire County Council and we would like to hear from people about routes affecting our division! Many of the bus routes serving rural areas of Buckinghamshire need ongoing financial support from the County Council to operate. We want as many people as possible in our village communities to have access to public transport, so you can get out and about and do what’s important to you, such as go to the doctors, the shops or visit friends and family. We need to plan carefully to make sure we use this money as effectively as possible. Further information about the review is available on the Bucks County Council website at the following link or by clicking on “Have Your Say” on the homepage. Please complete the online survey! If you would prefer to fill in a printed version of the survey or would like an Easy Read version, there is a print option as well. Alternatively, they are available at any Buckinghamshire library or from our Public Transport Team (see contact details below). Enquiries about this review can be made by email to our Public Transport Team on passtrans@buckscc.gov.uk or by phoning 01296 382416. Please take a few moments to complete the following survey, which is open for responses between 7 June 2018 and 20 July 2018. We’ll review all the feedback from the survey this summer, and later in 2018 we’ll carry out a consultation on any proposed changes. Updates on this review will be available on this page. Many thanks for helping us to shape the future of your local bus services. Vale of Aylesbury Housing Trust have just launched a new grant funding initiative called the Thriving Communities Fund to replace the Community Chest. · Micro Grants of up to £1,000 for VCS groups, assessed every two months. · Project Grants up to £10,000 for more substantial capital expenditure or core costs. Works location: j/w Westfield Road . f\w. c\w. Works location: o/s and opp factory. f\w. c\w. Works location: at Browns Hedge and j/w Westfield Road. f\w. Works location: BY PARK HILL COTTAGES. verge. Works location: at entrance to Browns Hedge. f\w. The next district community forum will be on 05/06/17 at Cheddington Village Hall 7pm – 9pm. bordering forces and disrupting those responsible. First the bad news – unfortunately, we are unable to continue with the planned Las Vegas night on Friday 29th June. Despite our best efforts, interest in the event was not sufficient to make it viable. We apologise to those who have already bought tickets or were planning to come along. We will of course be refunding ticket holders in full. Now the good news! We are delighted that the Pitstone Film Club have stepped into the breach and will be presenting a one-off screening of The Greatest Showman (cert PG) in our Big Top on the Friday night – curtains up at 7.30pm ! This hugely popular film will be shown on a big screen with state of the art projector and sound system. A full bar, soft drinks and popcorn will be available. So bring your folding chairs and cushions and come along to support this unique village event! Over the past week we have emailed mobile library customers to inform them of the cessation of the service and also to give information about alternative ways to continue to access library services. We are posting letters this week to those customers without email. If you are able to help inform your residents and signpost people to the further information given in the Appendix below it would be appreciated. Should you have residents who may be interested in becoming Home Library Service volunteers they can apply online using the link at the bottom of this page https://www.buckscc.gov.uk/services/libraries/community/home-library-service/ . I would also like to take this opportunity to apologise for the inconvenience caused to your residents on the many occasions recently where we been unable to visit due to vehicle breakdowns or driver sickness. We have extended outstanding loans to avoid anyone incurring overdue charges as a result and we will also extend any mobile loans still outstanding at the end of this month for a further two weeks to allow people time to make decisions about future library use. If you have any queries please get in touch with us at library@buckscc.gov.uk. Following the Council’s recent decision to end the mobile library service with effect from May 31st 2018 I am writing to you as a mobile library user to let you know of alternative ways to continue accessing our services. If you are able to travel we have 30 library buildings in Buckinghamshire and their locations and opening times can be found here. https://www.buckscc.gov.uk/services/libraries/find-a-library/all-libraries/ . These also offer a range of regular free or low cost events for all ages, which may be of interest. Maybe you have a relative, friend or neighbour who regularly visits the library and is willing to pick up books on your behalf. By formalising this person as a ‘Library Buddy’ you would get a longer loan period, free book and audiobook reservations and loans and no fines on books or audiobooks. As I am sure you are aware there have been many occasions over the past weeks where we have let customers down either because of vehicle break downs or driver sickness so I would also like to take this opportunity to apologise to you personally for any inconvenience this has caused you. I am keen to ensure that everyone will be able to access library services in future so over the next few weeks we plan to have extra staff on board the mobile libraries to explain these options in person and to help customers to find the most suitable alternative. A burglary has been reported in Pitstone on Friday afternoon (11/05). An elderly resident on Vicarage Road heard her doorbell ring at around 3:40pm. Shortly afterwards, the offender gained entry to the property via an unlocked side door. Nothing seems to have been stolen at this time. The man is described as mixed race and spoke with broken English. He was aged in his late twenties to early thirties and was a slim build. He was wearing dark clothing. Detective Constable Tom Booth, based at Aylesbury Police Station, is investigating this crime. He said “If anyone saw a man matching this description please get in contact with me. “Did you see any suspicious vehicles in the area, or anyone else that raised your suspicions? If you don’t want to speak to the police or give your details you can contact Crimestoppers anonymously on 0800 555 111, or report it online. Please look out for any vulnerable friends, relatives and neighbours. Check that they are locking their doors and windows and that they know what to do if someone suspicious comes to their premise. Advice and information to help prevent burglaries can be found on the Thames Valley Police website. CHARITY “GOODBYE” SINGALONG CLASS ON THE 10TH JULY@ PITSTONE MEMORIAL HALL. DOORS OPEN AT 3.30 FOR TABLE TOP SALE, RAFFLE, TEA COFFEE AND CAKES, AND LOTS MORE. ALL PROCEEDS ARE BEING SPLIT BETWEEN CANCER RESEARCH AND KEECH HOSPICE. If you would like a table. Please call Helen on 01296661791. Having your dog microchipped can make a lot of difference when looking for and trying to identify a missing dog. Since April 2016 it has been a legal requirement for all dogs to be microchipped by 8 weeks of age. Each microchip has a unique number that must be registered on a Government approved database along with information about your dog and you as its owner. If your dog is not registered on one of these databases you can be fined. It is important that the information is kept up-to-date so that if your dog does go missing, you can be contacted at the correct phone number or address. Reporting it to the police as soon as possible is also important, including making us aware of the microchip number so we can record this on our database. This will make it easier for us to identify any dogs that are found and check to see if they have been reported as missing or stolen. It is also recommended to record the loss or theft of your dog online using sites dedicated to finding lost and stolen dogs. Often these sites work with police and other organisations, such as local Neighbourhood Watch Groups and Vetinary practices, to try and find them. More information on microchipping your dog can be found on the Government website. In 2016, the Dogs Trust recorded that 9,000 stray dogs were reunited with their owners due to having a microchip with up-to-date details. The People’s Dispensary for Sick Animals (PDSA) also reported that in 2017, 11% of dog owners did not realise that it was a requirement by law to have their dog microchipped and a further 7% had not updated their details when they needed to. Healthwatch Bucks is an independent organisation that gives Bucks residents a voice to shape and improve local health and social care services. We’re here to ensure that local views, concerns and experiences are heard at all levels of health and social care so that they make a positive difference to the way future services are delivered. We do this by listening to what people tell us about their local services. We share this feedback with health and social care providers to help them understand what people think of their services. We also use it to help other residents see what people think. As part of this, we produce our own evidence-based reports. Our reports include specific recommendations based on the feedback we receive. We use these reports to influence, inform and, if necessary, challenge decisions of health and social care organisations. Over the past year our work has helped improve the non-clinical patient experience of a range of health and social care services from GP practices to care homes. To help patients shape the service they want from their GP practice, we have also been working with the Clinical Commissioning Groups to support the set-up of Patient Participation Groups. In our monthly newsletter, you can read about some of these PPGs. We also have a signposting service where we provide information about access to local health and social care services such as how to find a care home or get a dentist through the NHS. We will be holding our Quarterly Board Meeting in public in Pitstone Memorial Hall on Wednesday 9 May, 2018 from 2.00-4.30pm. We would be delighted to see you there, hear your views and answer any questions. All we ask is that you email any questions in advance. To find out more, please give us a call on 0845 260 6216 or visit our website www.healthwatchbucks.co.uk Why not sign up for our newsletter or follow us on Facebook or Twitter. This week sees the FREE ‘Quacker Duck Trail’ take place on Thursday 12 April in Aylesbury’s town centre between 11am and 3pm. This unique and fun-filled family event invites people to search for hidden letters around the town centre – to reveal the mystery message. Letters will be displayed inside shops or in their windows. Entry forms can be collected from Hale Leys Shopping Centre where you will find them in The Works retailer and Lil Riders who will be on the high street that day. The entry form also lists the participating shops.  First prize is a one-month membership for Everyone Active at Aqua Vale Swimming and Fitness Centre.  Second prize is one free family swim at Aqua Vale Swimming and Fitness Centre.  Third prize brought to you by Aylesbury Town Centre Partnership is a mystery prize. “The Town Centre Partnership is delighted to be supporting local businesses and creating a fun activity for children to enjoy with their families during the school holidays,” said Town Centre Manager Diana Fawcett. Thames Valley Police is appealing for witnesses following a road traffic collision yesterday morning. 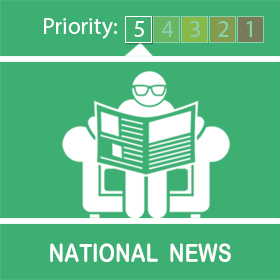 At 9.05am on Sunday (8/4) a silver Vauxhall Corsa has been travelling on the B488 Horton Road, Cheddington near to station road, when it has left the carriageway and collided with a telegraph pole. Following the long winter of 2017-2018 and the late Spring, colonies of honeybees are under tremendous stress. In the wild the survival chance of a honeybee swarm is about 20%. Collected, and housed in a hive by a beekeeper, the survival rate triples. The MBBKA needs the help of everyone in the area to ensure we collect as many swarms this year as possible. If you see a swarm of bees please contact the MBKA on the swarm-line number below. We will send a beekeeper to collect the swarm and provide it with a new home. Please click on the above link for more information. All Stars cricket provides boys and girls from 5-8 years with 8 weeks of non-stop fun. the activity and game based programme is suitable for all skill levels, providing your child with the foundations to begin a lifelong love of physical activity and cricket, while making friends in a safe and enjoyable environment. A Community Trust Fund is available for Parishes impacted by London Luton airport which can provide funding for Community projects. Grants range from £250 to £3,000. Some grants may be paid in stages over the life of the project as it reaches set goals. It’s that time of year again where we are in the process of sending out around 80,000 council tax bills. Customers who have signed-up for MyAccount can access their bill through MyAccount and will not receive a bill through the post. As you can appreciate, these bills generate a high volume of contact from our residents. Although this is normal at this time of year, it can mean longer wait times on the phone lines for customers who are calling with enquiries. To save the wait on the phone, we would advise customers to contact us through our website and on webchat and, if possible, to wait a week or so before contacting us with non-urgent enquiries. The cost of the garden waste collection service is changing. The annual cost for the service will rise to £45 on the 1 April 2018, around £2 per collection. The service runs from February to November and is a cost effective way for residents to dispose of their garden waste. This is the first rise in the cost of this discretionary service for three years and is needed to cover our increased costs as a result of inflation, rising fuel costs and government funding cuts. All garden waste collected by AVDC is turned into compost to be used on farmland as a soil improver. We will be running a radio campaign for three weeks during March to encourage new residents to sign up to the before the price increase on 1 April. Residents and businesses across the Vale can look forward to improved waste collection and recycling services following a £3.6m investment in a new fleet of 17 Mercedes-Benz Econics state-of-the-art refuse vehicles. The new vehicles offer enhanced performance, improved fuel economy and greater safety, compared to the leased vehicles they are replacing. As well as providing an opportunity to increase recycling rates the new fleet are also best-placed to cope with the increase in demand which will inevitably result from the increase in new homes across the Vale. The Safe Places Scheme has been rolled out across Aylesbury Vale through the AVDC Community Safety Team with Thames Valley Police also supporting this initiative. The scheme provides safe havens, such as shops and restaurants, for vulnerable people if they need help when out and about. If they spot the sticker, they can approach the business for help or guidance whether this be for directions, a sit down and glass of water or to have a taxi phoned on their behalf. If you are a business owner or know any businesses that would like to help, please forward this item to them or email communitysafety@aylesburyvaledc.gov.uk for more information. Ask For Angela is a sexual violence campaign, supported by Thames Valley Police which aims to help individuals feel safe when they are on a night out. An individual can get help by asking a member of staff for Angela at the bar if they are feeling uncomfortable on a date or in a dangerous situation. The bar staff can then defuse the situation or arrange a safe way of getting home. Each pub or bar will display posters in their public toilets so that people are aware that they are supporters of the campaign. If you are a business owner or know any businesses that would like to support the scheme, please forward this item to them or email communitysafety@aylesburyvaledc.gov.uk for more information. Hotels across all districts in Buckinghamshire are being encouraged by AVDC and partners to support a scheme aimed at preventing child sexual exploitation and domestic violence. Called Hotel Watch, the scheme has been going for some time, but a relaunch is focusing on raising awareness of the signs that may point towards abuse taking place with the ‘SAY something if you SEE something’ catchline. All districts within the county (Aylesbury Vale, Chiltern, South Bucks and Wycombe) are involved in the scheme in partnership with Thames Valley Police. Aylesbury Vale has a strong Hotel Watch membership, comprising of local hoteliers and proprietors that want to play their part in keeping a safe environment. Hotels and guest houses participating in the scheme display the distinctive Hotel Watch stickers. If your Hotel are interested in becoming a member of Hotel Watch please email communitysafety@aylesburyvaledc.gov.uk. Tickets for selected events at Aylesbury’s annual WhizzFizzFest, the all-day festival celebrating children’s art and literature, are now on sale. Taking place on Saturday 30 June in Aylesbury’s town centre and organised by Aylesbury Vale District Council, this year’s festival is already proving to be bigger and better than ever, with celebrity guests Dame Darcey Bussell and Dame Jessica Ennis-Hill headlining the events. Vale Lottery will be hatching a new special spring prize draw over the Easter holidays; offering players who are signed up before 8pm on Saturday 5 May the chance to win an ‘all inclusive’ family ticket to Legoland Windsor. To date, Vale Lottery has raised over £140,000 for more than 180 local good causes in Aylesbury Vale and we would greatly appreciate your help in encouraging even more local residents to sign up and support a good cause on their doorstep. What will you enter for the Ivinghoe Flower and Vegetable Show? entries 30p each, one entry per person per class. Please click on the link to see more information and download your entry form. NHB Micro Grants up to £1,000 are now available for voluntary and community sector organisations as well as parish and town councils! An exciting development sees the introduction of a new NHB Micro Grant Funding Scheme which is open to voluntary and community sector organisations operating within a parish, as well as parish and town councils. Easily accessible micro grants up to £1,000 are available for a variety of capital costs including refurbishment and equipment purchases and are assessed on a monthly basis. It is not necessary for the project to link to growth, although those that do may score more highly. Projects to be put forward for funding must evidence consultation at parish level and the application form must be endorsed by the relevant town or parish council prior to submission. The closing date for applications is the 15th of each month. STARTING SOON! We have received funding for a fun and absolutely FREE community exercise class…for those who don’t normally exercise! • Starting in May 2018 (limited numbers available) and FREE OF CHARGE for as long as the funding will allow! • Tuesdays at 11am – 12pm at The Hub. • Suitable for people with less mobility – gentle movement to music, designed to get the whole body moving, whilst introducing some strengthening and stretching exercises too. Exercises will be a good mixture of standing and seated work…but all can be adapted to suit the individual. • Places are provided on a first-come, first-served basis and will be available for a limited number of weeks. • These classes will be very friendly and welcoming and are aimed at those people who might not think that exercise is for them. Struggling to pay your energy bills? Need help with energy saving measures around your home? Visit the “Better Housing, Better Health” website or give them a call on 0800 107 0044. It is a one-stop shop for a range of free services aimed to help Oxfordshire and Buckinghamshire residents reduce their energy bills and keep warm and well at home. The Vale of Aylesbury Local Plan was submitted to government on 28 February 2018 and will now be subject to an independent examination by Planning Inspector Paul Clark BA MA MRTPI. The examination is likely to include a series of hearings on what the Inspector deems to be critical issues affecting the Plan. Respondents who have made representations proposing changes to the Plan in order to make it sound and legally-compliant may be invited to participate in a hearing. The selected respondents will be contacted by the Programme Officer once the hearing timetable has been finalised. During the examination period, the submission and examination material will be available to be inspected by the public. What documents will be available and how can they be accessed? The Regulation 22 Submission Statement of Availability outlines the submission documents available and how to get hold of them. All electronic documents and hard copy materials will be made available within the next two weeks. You will be able to download these documents at: www.aylesburyvaledc.gov.uk/section/valp-examination. A printed copy of the submission materials will also be available to view at AVDC’s Gateway offices and certain submission documents will be at libraries around the district. Please see here for the locations where you can find the documents and opening times. The examination of the Plan will begin with initial checks to make sure it meets regulatory requirements. After this stage, the hearing timetable will be finalised and published and any participants requested by the Inspector will be contacted. The assigned Programme Officer, Louise St John Howe, will also be contacting all those who responded to the Regulation 19 Consultation from November to December 2017 providing further detail on the examination process. If you have any questions on the content of this email please call 01296 585308 or email localplanconsult@aylesburyvaledc.gov.uk. I’m launching a six-week public consultation on Buckinghamshire’s Draft Freight Strategy. I’m inviting you to take part and have your say through our short survey . Transporting freight plays a key role in servicing Buckinghamshire’s industry and communities, and supports our growth and economic development. Freight offers our residents choice as consumers and businesses. This Draft Freight Strategy analyses the impact freight is having in Buckinghamshire and looks ahead to the impact it might have in 2036.It sets out what can be done to harness the benefits of freight and manage its impact. To support the Draft Freight Strategy we have developed 14 policies which demonstrate our commitments on how we intend to manage freight. The policies cover appropriate use of our road network, our environment, partnership working and considering freight in decision making. Within each policy we have identified ways we can put what we are proposing into action. Achieving these commitments will require strong partnerships with central government, the district councils, communities and businesses. So we need to know what everybody thinks of our plans. I urge you to have your say, and to share this through your networks. There’s more information here where you’ll also find a link to the consultation survey . If you have any questions about this consultation, please contact the Transport Strategy team by email at transportstrategy@buckscc.gov.uk or by telephone 01296 395000. Chairman of Waddesdon Local Area Forum, Cricket Club and the Bernwode Bus. This includes information about the extension of their Noise Monitoring Schedule to cover Pitstone and provide a contact email address in case a local resident would be wiling for the to act as a monitoring location. Please note that there has been a change to the policing for Pitstone and PCSO Jackie Dodson is no longer our designed PCSO, therefore please do not try to contact TVP via Jackie’s mobile telephone number. We would like to thank PCSO Dodson most sincerely for all her dedicated work in our parish. We also welcome PCSOs Natalie Hall and Megan Harriet to Pitstone. Please report any non-emergency police matters on telephone number: 101. It is important that you ring through all issues because this number generates the official log of incidents for the parish, and police manpower is allocated according to incident rate. If you are the victim of crime, witness a crime, witness suspicious/anti-social behaviour or have any information related to local crime/use of illegal substances please call 101. Please do not feel that your information may not be important enough to call them. Often it takes time to build up a complete picture and gather all the necessary evidence and your piece of information may be the missing piece of the jigsaw. Works location: Vicarage Road to Watery Lane. Buckinghamshire County Council is in the process of reviewing its adopted minerals and waste planning policies. This is to ensure we continue to have an up to date plan in line with government guidance. We are doing this by preparing a new comprehensive Minerals and Waste Local Plan. We are now at a key stage where the Proposed Submission version of the new Minerals and Waste Local Plan is being consulted on ahead of being submitted to the Planning Inspector. The County Council welcomes comments and observations on this Submission Plan for Consultation. Accompanying the Submission Plan for Consultation is a Sustainability Appraisal and a number of background documents. These can all be viewed and downloaded at www.buckscc.gov.uk/MWLP. This consultation will run from Monday 5th March to Thursday 19th April 2018. The Proposed Submission Plan is available to view in hard copy format at the main reception areas of the County Council (County Hall), as well as the main receptions of the district councils in the county during normal business hours. Additional hard copies of the document can be found in the libraries at Amersham, Aylesbury, Beaconsfield, Buckingham, High Wycombe, Gerrards Cross and Iver. If there are any matters on which you require clarification please do not hesitate to contact us. TVP Aylesbury has today launched a new Facebook page, specifically for Aylesbury Vale. This new account is part of a trial to use Facebook to better engage with our communities. Please visit the page and like it if you are local to Aylesbury Vale and would like to find out more about what your local teams are up to. Please note, just like Thames Valley Alert messages, the page cannot be used to report crime and always dial 999 in an emergency or 101 for non-emergency crimes. Due to the expected extreme weather conditions, Aylesbury Vale District Council has taken the decision to cancel tomorrow’s public event for the Paralympic Heritage Flame Lighting Ceremony due to be held at Stoke Mandeville Stadium. This has been a difficult decision taken in partnership with WheelPower and the British Paralympic Association. The lighting of the Heritage Flame, will, as tradition requires, still take place, with Torch Bearer Ali Jawad performing the ceremony at a closed event. We apologise for any inconvenience caused but felt that this is the most appropriate course of action, and we ask anyone with a ticket not to make the journey to the stadium. Channel 4 will air the ceremony on their evening news at 7.45pm, so please do tune in. Buckinghamshire, along with many parts of the UK, is still experiencing wintery conditions. This means unusually low temperatures for this time of the year and potentially snow or sleet with strong winds. The Council has a one-stop webpage that brings together advice ranging from staying safe on the roads, the gritting routes and coping with winter weather to staying healthy, warm and preventing illness. Noel Brown, Cabinet Member for Community Engagement and Public Health said the webpages were the most comprehensive guide ever published for Buckinghamshire: “While I hope these unusual conditions won’t persist, it’s useful to have such a wide array of information at the click of a button. It’s easy to get caught out particularly with freezing temperatures or heavy snowfall so be prepared. Staying warm and healthy is just as important. “However we can all do our bit by checking in on elderly or frail neighbours who may be reluctant to leave home when the weather turns; let’s all try to be good neighbours to one another” he added.